Congratulations! You did it, you made it to medical school, the first major step towards becoming a physician. While you do have a huge feat in front of you, please know that just in making it this far, you have proven to yourself that you CAN do it! There will be days when you are so sick of studying and tired beyond belief, but believe me when I see you WILL become a doctor. 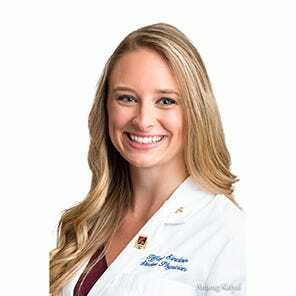 My name is Tiffany, and I am a third year medical student currently doing clinical rotations in Florida. You may have seen me around on Medelita's HIP Ambassador web page or AllHeart's Instagram (go #allheartsquad). I will never claim to have it all together, I am just an average medical student making it through day by day! However, experience is the best teacher, and I have picked up some tips and tricks over the years. I hope this article will have some morsel of wisdom in it that will help you a little along the way! Because you are all undergoing the huge life transition that is medical school, the Medelita team and I thought some of you might be curious for some "back to school" advice to help you get through your first year. I even asked several of my friends who are in various stages of medical school to give me some of their best advice so that you can learn vicariously from the experiences of a variety of medical students. This is a compilation of our most valuable advice on how to best begin your medical career! First of all, one of the hardest things for myself: please understand that while you have likely come from having top grades and being an excellent student, you are now beginning school alongside dozens of other smart people. You may have gotten the best grades and been the top dog in undergrad, but this may no longer be the case. (It also may entirely be the opposite, as I know a couple people who excelled more in medical school than in undergrad!) I constantly was beating myself up for only getting the "class average" on exams. Note: I WAS GETTING THE CLASS AVERAGE! This means that I am perfectly normal and was doing well in regards to where the rest of my classmates were. But I would be lying if I said it didn’t affect me, and many of my classmates in a negative way mentally to only be "average" or even "below average”. 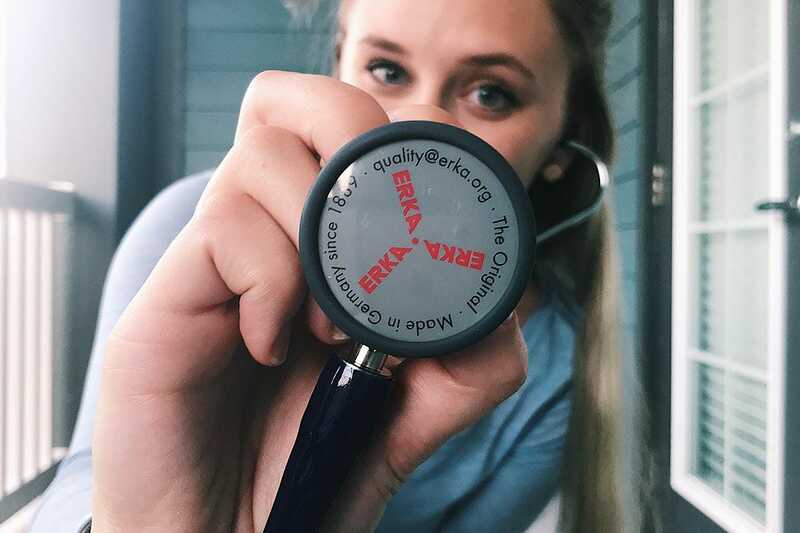 Mentally prepare yourself for the possibility that you might only be "average" in medical school, and do not let this affect how hard you work or how you view yourself. You will STILL be a fantastic doctor, regardless of your class rank! Second, a recurring theme among what my fellow medical students were saying was to take care of yourself! Don't forget to take the time to do things you love, whether that be playing soccer, working out, reading a non-medical book, watching your favorite show, or going to the beach. Burnout is a REAL thing, especially during long weeks of being inside studying all day long! Do your best to prevent burnout by eating well, doing some physical activity, going outside, taking some vitamins (Vitamin D if you can't get outside often and B12 and Mg for energy! ), and keeping a hobby that you love. One particularly helpful tip from a friend of mine was to be aware of how often you need a little break to prevent burnout. For example, if you start to get really brain dead after 4 hours of studying nonstop, try to take a break at 3.5 hours so you don't hit that point. Third, surround yourself with a group of friends quickly! Branch out of your comfort zone and find a solid group or support network quickly. You need friends who understand what you're going through, who can study all day with you, and who can celebrate finishing exams with you! I was so blessed to find a wonderful group of people early on. My friends and I are now split up across the state, but we still talk every single day and I truly know I would never have made it through school without them! Also, don’t forget to keep in touch with your support system at home- your family and friends that cheered you on to this point. I text my family every single day, and they have been my biggest cheerleaders for all these years. In order to stay sane, you NEED a support system, whether it be medical school friends, people at home, or both. Things WILL get crazy, and you WILL need people to vent to and remind you of your goals. Fourth, be flexible! This applies to many areas. 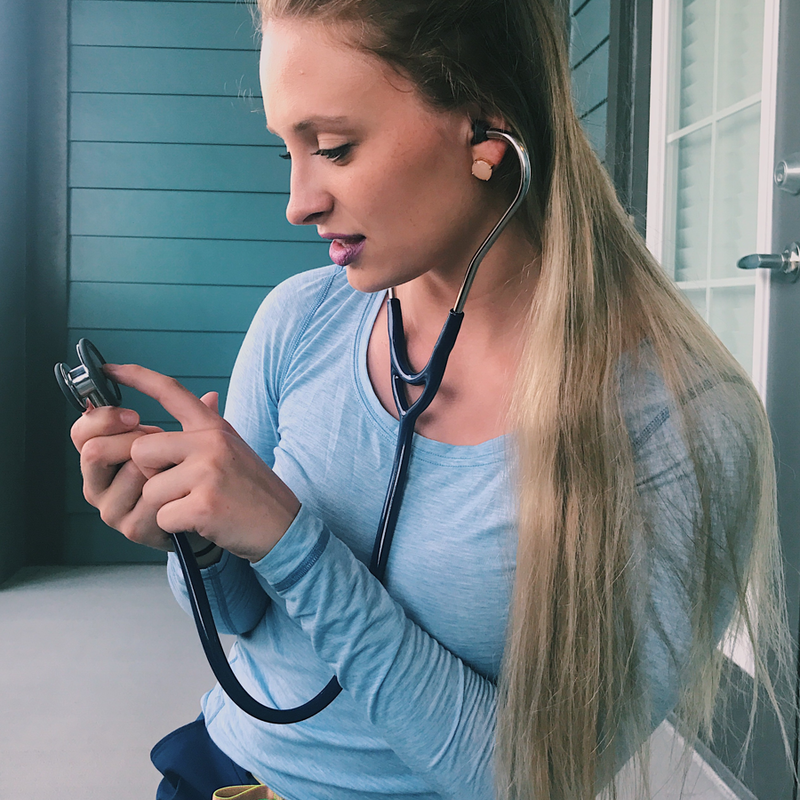 For all of you just beginning medical school, you will need to be flexible with how you're studying and learn how to adapt to situations you’ve never experienced. What worked for you in undergrad may no longer work in medical school. Be willing to find new ways to learn, even if it's nothing like you did in the past. There is a lot of information you will need to learn in a very short time, and you also will be expected to retain a lot of it for board exams and for your future patients. You will also need to be flexible in terms of your career. For example, you may have your heart set on doing rotations in New York, only to get the last lottery pick from your school and be stuck somewhere you don't want to be. You may come into medical school expecting to become a trauma surgeon, and then discover that you have a passion for neurology. For example, I came in loving orthopedics and physiatry, but now I have discovered that my heart is in emergency medicine. If you are flexible along the way, it makes your journey so much easier. Lastly, keep your eyes on the prize. Remember why you are doing this! The days are long, but the years are short. Study hard. Work hard. If you need a break, take it. If you fail a test, have to retake a class, or don't score where you want in your classes, you will STILL become a doctor. Read your personal statement that got you into medical school to remind yourself from time to time why you are here. You CAN do it, and you WILL be a great physician! I wish you happiness and success in your journey, my soon-to-be fellow doctors! Tiffany Sinclair is a medical student who hopes to pursue a career in Emergency Medicine. 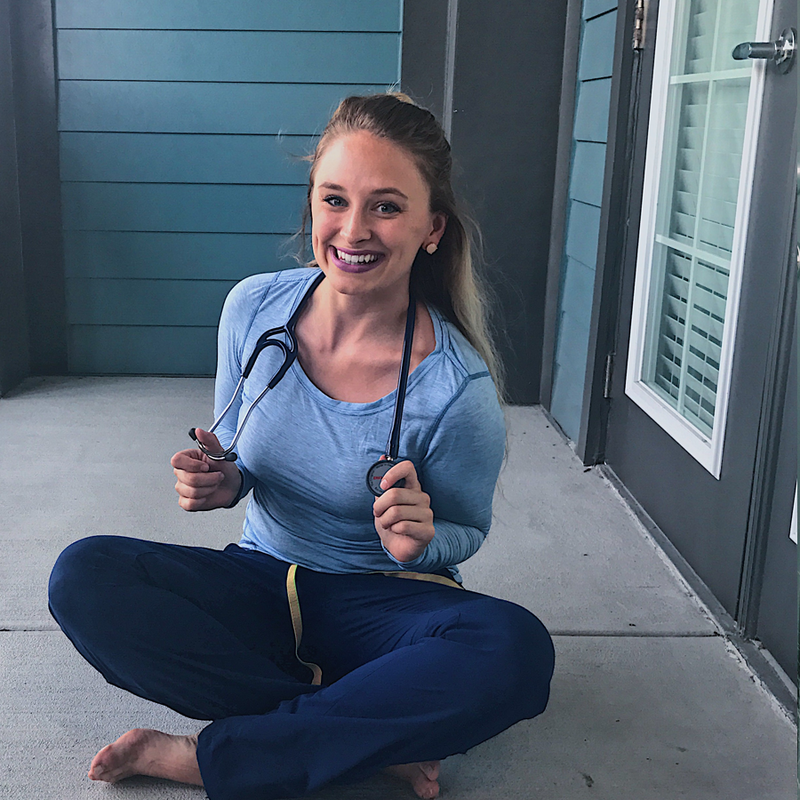 Tiffany discovered her love for medicine during college, when she started learning about sports medicine through her athletic endeavors. When she's not in the hospital or stuyding, Tiffany enjoys playing soccer, watching hockey and football, cooking, and of course going to the beach!